Proper sail trim is an important part of sailing. It allows your sail to work efficiently, so you can make the most of the wind. Pulling in the mainsheet or “Sheeting in” too much will stall the sail, causing it to loose power. This leads to slower boat speed and increased heeling. On the other hand, not sheeting in enough will allow too much wind to spill from the sail also resulting in slower boat speeds. So, How do you know if a sail is sheeted in properly? 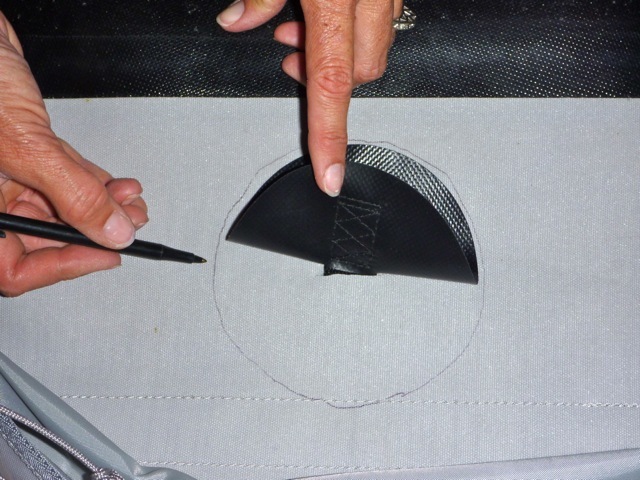 For “soft” sails, or sails that don’t have full length battens, the basic procedure is relatively simple. Hold your boat on course, then sheet in the sail in until the leading edge of the sail, called the “luff”, stops fluttering or “luffing”. With fully battened sails that don’t flutter, like the one supplied with the Kayaksailor, determining proper sail trim can be a bit tricky. An experienced sailor can trim the sail until it “feels” right. But even they can have difficulty when the wind is light or shifty. This is why we now include a set of telltales with each rig. 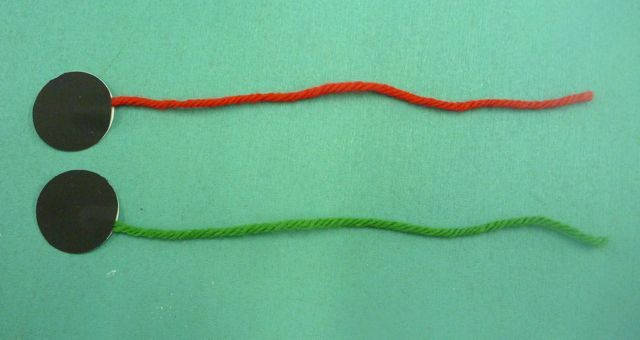 These are the small lengths of red and green wool yarn attached to the sail. 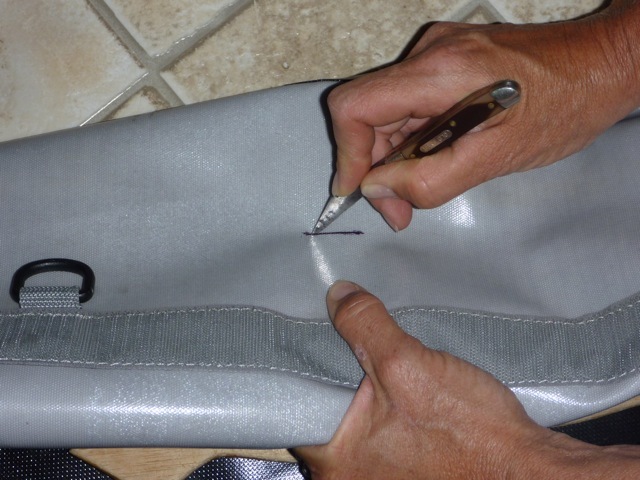 By learning how to read the telltales and adjusting the mainsheet accordingly, it’s easy to find proper sail trim. You can’t actually see the wind, so the telltales allow you to see the effect of the wind as it moves around the sail. The wind should flow smoothly on both sides of the sail. 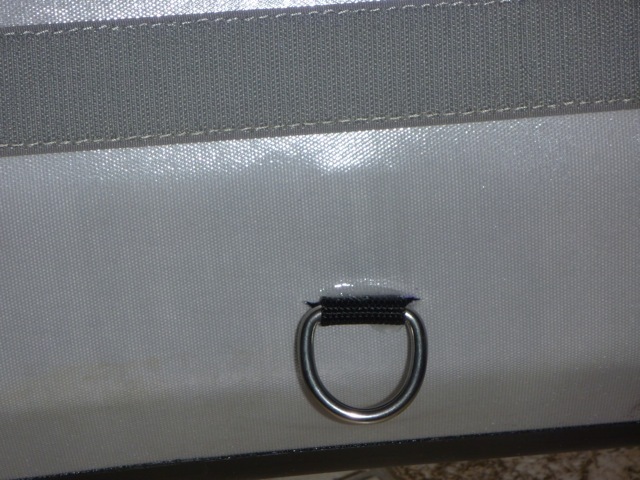 So, if the sail is trimmed properly, the telltales should also flow smoothly on both sides of the sail. 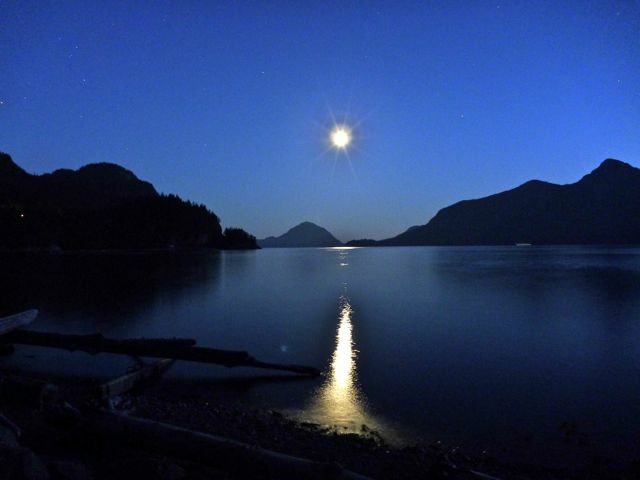 Patti and I recently returned home from a trip to coastal British Columbia. Let me just say that this is a beautiful part of the worl d, snow -capped mountain peaks, terrific wind and endles s opportunities to paddle-sail. We brought our Necky Eskia and our new Pakboat XT-15 along for the ride. After crossing the border, we headed north toward Squamish, a town situated at the end of scenic Howe Sound. It’s a windy place in the summer and a popular destination for windsurfers, kite- boarders and sailboat cruisers looking for excitement. We found it similar to our home town of Hood River in this respect. 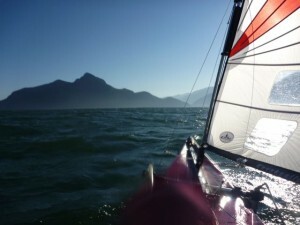 The paddle-sailing in Howe sound was wonderful. Glacial runoff gives the water a blue-green tint. It kind of reminded me of the water color in the Florida Keys after a strong wind has stirred up the coral sediments. 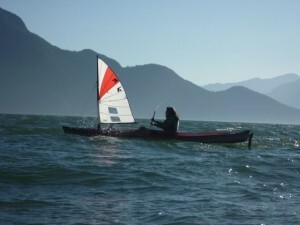 The tide and the wind were in the same direction causing us to paddle sail close hauled much of the time but the scenery is breath-taking and the broad reaches home were a blast. After a fun-filled day on the water, we spent the night camped in Porteau Cove Provincial Park. 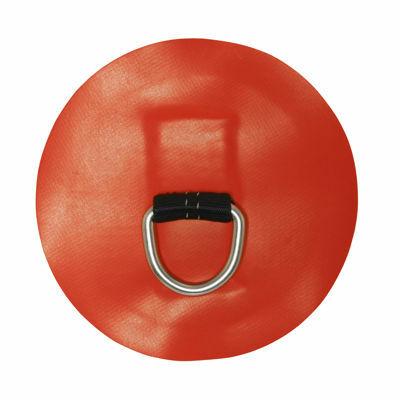 D-rings patches are a convenient way to add mounting points to your inflatable or skin-on-frame craft. These patches are strong, easy to apply, and are commonly used by whitewater rafting outfitters to attach a variety of gear to their boats. They are purchased from outfitting retailers like NRS in the U.S. as well as from fabric boat manufacturers such as AIRE and Pakboats. We recently purchased and installed some on our Pakboats XT-15 folding kayaks. These patches are typically glued to the outside of the hull, but can also be attached to the inside surface of many skin-on-frame boats. Our initial intention was to glue the patches to the outside of the hull, but after a lengthy discussion with Alv Elvestad, the owner of Pakboats, we were encouraged to glue them to the inside of the hull and have the D-ring extend through the skin to the outside. He said it would create a nice clean look with only the D-ring seen from the outside. Since this procedure involves making an incision in the skin, I admit, I was a bit concerned. He assured us that the area would remain strong and watertight. We started by marking the area on the outside of the hull, where the D-ring would be located. We chose an area underneath the under-the-hull strap and not too far from the deck. Next, we measured the width of the D-ring and marked this distance on the hull. Then came the fun part. With a pocket knife, we made an opening in the skin and tested the size by pushing the D-ring through. With a marking pen, we drew a circle on the inside of the skin slightly larger than the patch. This circle is used as guide for applying the adhesive. Both the patch and the skin should be cleaned with some alcohol. Next, we applied the vinyl adhesive that came with the Pakboat’s repair kit, to both the patch and the skin and let it dry to the touch. 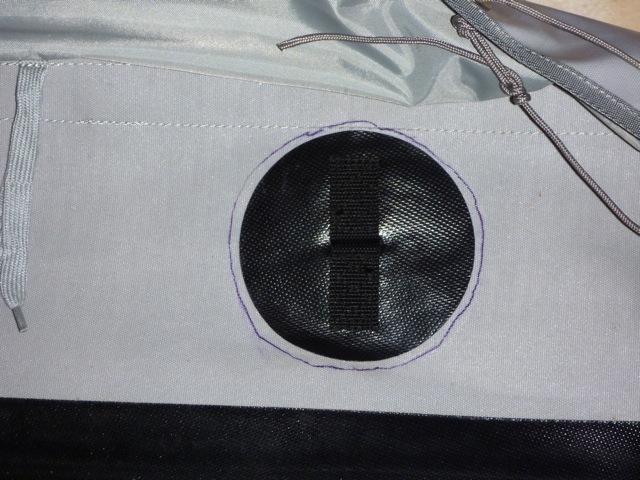 We pushed the patch onto the skin making sure to squeeze out any trapped air bubbles. After allowing the adhesive to cure, we skinned the hull. 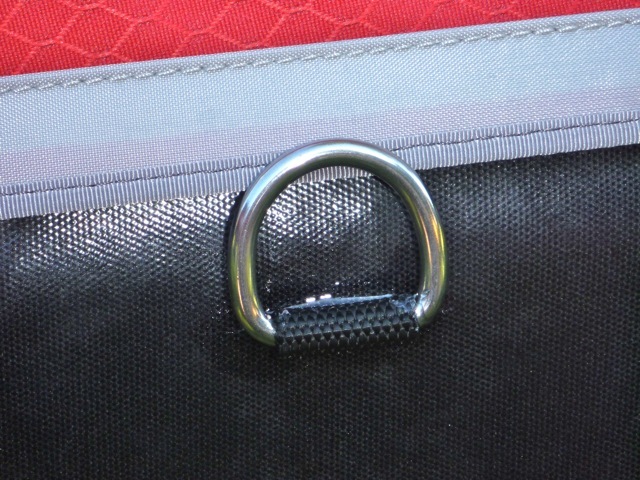 For a final touch, some Aquaseal polyurethane sealant was applied to the outside of the skin where it meets the D-ring webbing. Here are some photos of the finished product. It was easy, straight forward and took about 30 min. to complete. 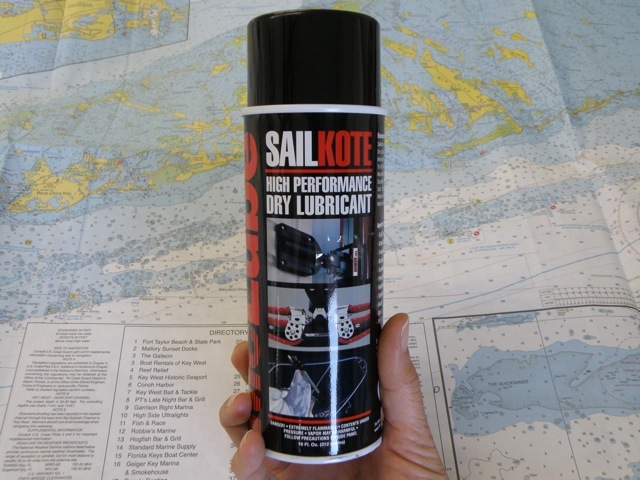 We’ve discovered the perfect lubricant for the Kayaksailor. 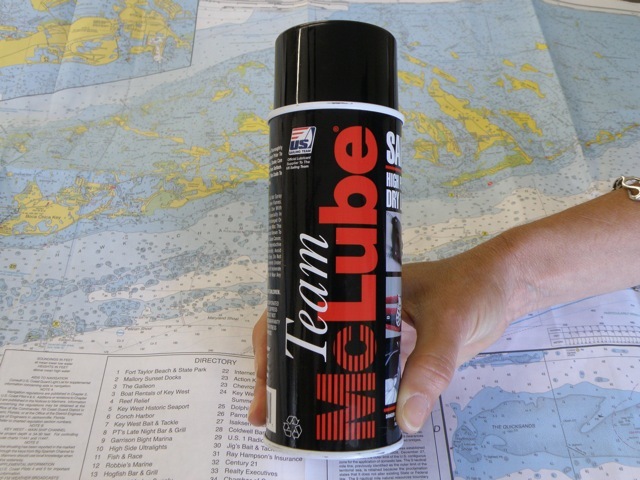 This product is a dry PFTE lube that will make your Kayaksailor work better than ever. There have been some issues with the silicone lubricant we recommended in our user manual. 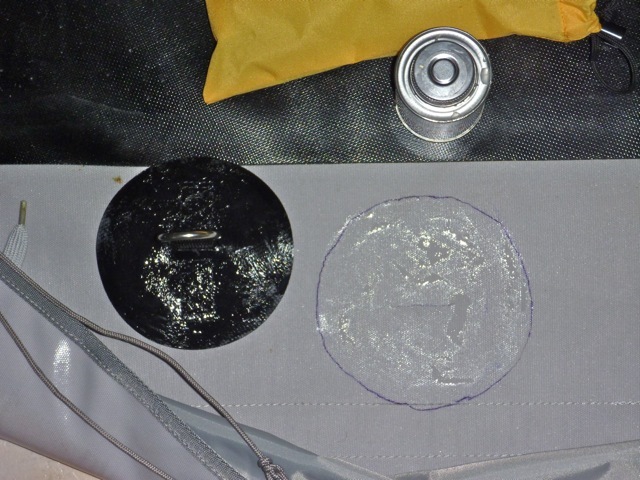 Since the silicone remains wet, it has a tendency to accumulate grit and sand in the mast track. Since this product dries hard, it won’t have the grit build up and the mast car will slide much easier. Prior to applying SailKote, remove any residual silicone with soap and water and allow to dry. 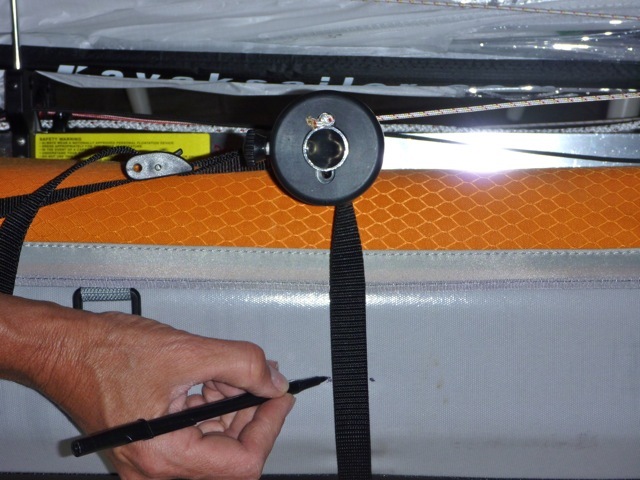 Avoid spraying the leeboard assembly and your mainsheet! 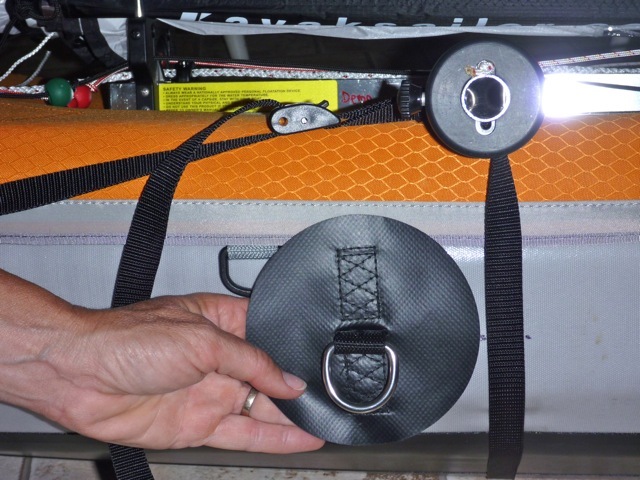 It also works great on rudders, peddles and just about everything that moves on your kayak. 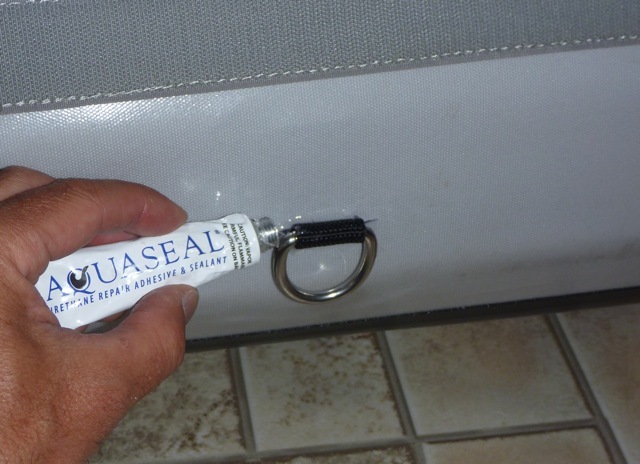 Since this product is solvent based, it’s best to spray it on the sail rig outside or in a well ventilated area.